Monday - Friday classes are open to all neighborhood children in first, second, or third grade. Classes run from January 7 to June 20, 2019. Easily enroll online below. Students enrolled in all five M-F classes receive a 10% discount. 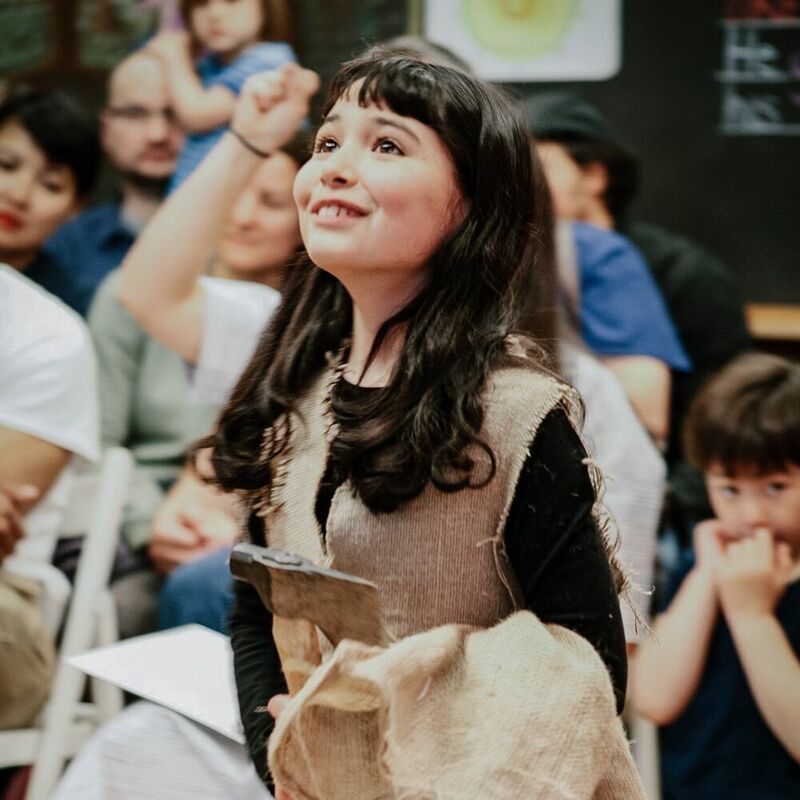 Students will flow through an imaginative journey of interactive storytelling and renewing yoga poses while practicing peaceful movements, calming techniques, and gratitude. At the end of every class, students will use fine motor skills to create beautiful origami art, which promotes hands-on focus and mimics nature. 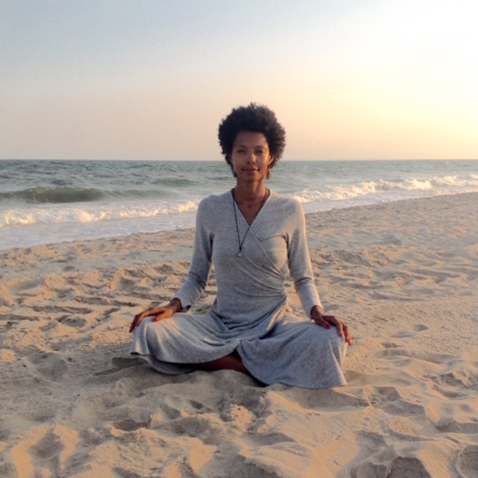 Led by Danyelle Vilmenay, a children's yoga instructor with a creative mind and warm spirit. She takes her students on adventures through playful storytelling, asanas, and origami. Danyelle's passions developed as a substitute teacher, summer counselor, and later, a director of children's education and activities for a local nonprofit. Danyelle formally co-hosted a radio show for teen girls to develop high self esteem through physical fitness, and led her own mentoring program for teen boys throughout NYC. This class serves as both an introduction to knitting, crocheting, and sewing for children who have not yet been exposed to these skills, and a place for more experience students to work on personal projects as well as repair projects for our classrooms. The atmosphere is social and active, but not rushed, with everyone working at their own pace. Our after-school children's choir draws on the rich tradition of classical and choral singing. Repertoire will include Waldorf foundational music, world folk music, theater classics and original compositions designed to meet the developmental needs of early grades children. We will focus on the foundations of music making, including fine-tuned listening, melody, pitch, healthy vocal practice, and musicianship. Music Director: Mr. Owen Schiller - Mr. Owen is an actor and singer from Colorado. He studied in a Waldorf school as a child before going on to earn his degree in Theater Arts from the University of Northern Colorado. Mr. Owen has worked with several Colorado-based choirs including the Basalt Chamber Choir and UNC’s Men’s Glee Club. This past summer, Mr. Owen taught the Drama program for New Amsterdam School. Students in Drama Peeps experience the process of learning, rehearsing and performing a play for their community. Classes are full of theater games and engaging exercises designed to help students integrate sound and movement with their bodies, and to work together as an ensemble. The dual gifts of theater are expression and control, out-breath and in-breath. Students are encouraged to let loose with improvisational games and to cultivate focus for rehearsal. Yoga is non-competitive workout that is adaptable to every shape, size and age group. Our method of play yoga increases physical strength and improves flexibility, coordination, and balance in an exciting and educational way. Our Movement & Mindfulness class fosters a heightened sense of self, greater body awareness, boosted self confidence, increased flexibility and coordination, and improved physical strength. Through thoughtful breathing techniques and visualizations children develop tools to bring peace and self-soothe, and through movement they develop increased self-confidence, focus, attention span, and gratitude. We strive to create an engaging and healthy environment where children learn to stretch and connect with their bodies and imagination. Earth Art offers the children an outlet to let go of their day and explore the natural world of surrounding parks and gardens. The children will lead the way with their originality and wonder, inspiring new ideas and methods of collaborating with the surrounding environment and with each other, using their findings to create process-based art and hands-on projects. We will be using found objects to create site-specific nature-based installations and sculptures in different locations in the local community garden and Tompkins Square Park. We will often begin our class by using buckets to forage for material from the grounds of the parks and gardens, predominantly working directly from the earth, collecting seed pods, acorns, leaves and other natural objects to create observational abstract forms. Later on in the semester we will be integrating some supportive material such as clay, natural paint, and twine to help strengthen our creations as they become more dynamic. We may use clay to document the texture of a seed pod, paint to reveal the form of the underside of a leaf, or twine to emphasize three-dimensional pattern such as that of a spider web. As Earth Art is a process-based form of creativity we will be focused on practicing cooperative learning as we work together with the earth, respecting and noticing all it has to offer us and understanding the limitations and possibilities of our immediate environment in the East Village. If your child already attends New Amsterdam School, please fill out the below form and return in person or via email. If your child attends an outside school, please sign up through the link below.